The following is adapted from my contribution to this discussion of how best to manage unfasted patients who require deep sedation to facilitate a painful procedure. I am responding mostly to Nicholas Chrimes, a thoughtful Australian anesthesiologist behind The Vortex Approach to airway management. 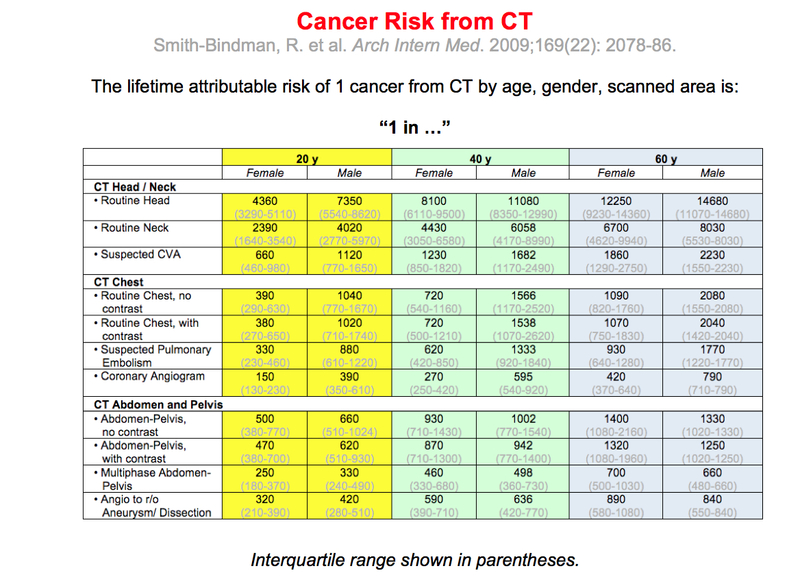 Because aspiration leading to clinically relevant morbidity is a rare event and is often not straightforward to identify, we do not know which patients are most at risk, which sedation procedures confer greater risk, or how to reduce that risk (by, for example, fasting). Standard of care is therefore based on tradition and opinion which I believe is largely misguided and contrary to the interests of patients and providers. Though the focus of the discussion was on whether patients not known to have an empty stomach are better off receiving spontaneously breathing procedural sedation or RSI/endotracheal intubation, I was most struck by what felt to me a lack of appreciation of the harms of fasting. 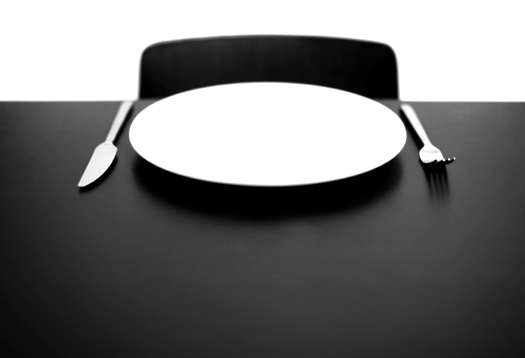 The harms of fasting are not adequately represented in this debate, so I think the topic is worth elaborating. 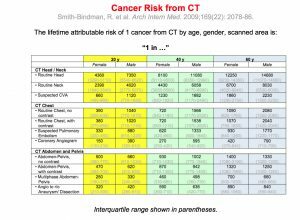 There are over 20,000 ED PSA cases reported in the literature, and, to my knowledge, two (2) reported clinically consequential aspiration events. In one case, the patient was NPO for 6 hours prior to the procedure, in the second, NPO for 24 hours. There is also theoretical evidence that fasting, which increases the volume and acidity of gastric secretions, makes aspiration events more dangerous. ACEP’s 2014 clinical policy offers this level B recommendation: Do not delay procedural sedation in adults or pediatrics in the ED based on fasting time. Preprocedural fasting for any duration has not demonstrated a reduction in the risk of emesis or aspiration when administering procedural sedation and analgesia. The suggestion that we might expose a non-fasted patient with a shoulder dislocation to the risks of RSI so that an endotracheal tube can be placed for the three minutes it takes perform a propofol-facilitated joint relocation, for the purposes of reducing aspiration risk, a risk that has been demonstrated to be trivially small and not reduced by fasting, is, in my view, a dangerous, almost irresponsible suggestion. Attempting to view this from your perspective, I will stipulate that anesthesiologists are better than emergency physicians at routine intubation, and the situation described is closer to routine intubation than a usual emergency department intubation. I recognize that the anesthesia guideline I quoted earlier concluded with a strong recommendation for fasting and did not mean to imply otherwise; my point was that the authors of that guideline explicitly acknowledge that their recommendation is not evidence-based. The physiologic arguments you confidently assert as support of a fasting recommendation seem to me academic when compared to the overwhelming evidence that performing PSA on non-fasted patients is safe, especially when viewed in light of the harms of fasting. The harms of fasting are very important and are a source of considerable morbidity; that you trivialize them is a powerful testament to the occasional chasms between EM and anesthesia. I think as groups we agree on most issues that come up in the areas where our expertise overlaps, but there is no greater exception to this than how we view fasting and aspiration risk. Every time a patient in the emergency department who requires a procedure is fasted, there is harm. The procedure they need usually involves a painful condition; by delaying the procedure, you prolong the length of time the patient is in pain (and hungry and, more distressingly, thirsty). The lesion that needs to be addressed progresses–the fracture swells, the dislocation stiffens, the heart more content to be in atrial fibrillation–the procedure therefore becomes harder or less effective. The patient remains in a bed in the ED, taking up geographic and nursing resources that could be diverted to others. 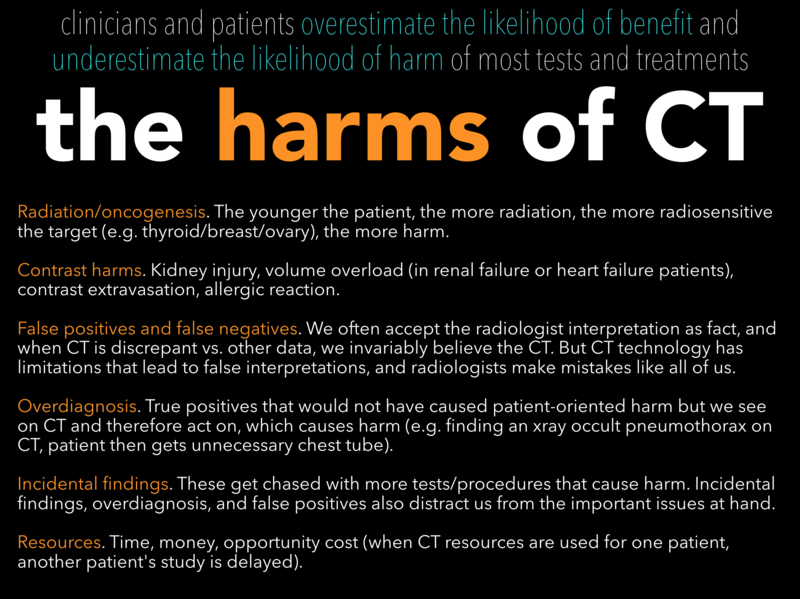 There are more insidious harms. Because of the fasting culture in medicine and the unfortunate policies that have arisen around them, in many emergency departments, the default nursing position is that patients are NPO until specifically authorized to eat by a provider. In practice this means most patients in the department are deprived of food and drink on the chance that someone is going to get upset because the patient has eaten. It gets even worse: radiologists have jumped on this train and now, in some centers, will not accept patients for IV-contrast CT unless they have been fasted for 4 or 6 hours. This on the chance that the patient will have an allergic reaction to the contrast, then somehow as a result vomit and aspirate. So we wait hours to get pulmonary embolism diagnosed, for a baseless, senseless, defensive policy that directly harms patients. I have tried to reverse this culture of fasting where I work by using a catchy slogan: everyone eats. I just got off an airplane. As we begun our descent, the flight attendant passed by my aisle, looked sternly at the passenger seated next to me who was reading a Kindle, and said, sir, please turn off all electronic devices for landing, in the usual tone that suggests the safety of other passengers was imperiled by his operating a Kindle. We looked at each other and shook our heads. Emergency physicians often manage IV catheter malfunction causing extravasation, which can result in significant tissue necrosis. Hyaluronidase may significantly reduce tissue injury from extravasation by hydrolyzing mucopolysaccharides present in connective tissue. This results in a transient increased permeability of the tissue and subsequently enhances diffusion of liquids through the subcutaneous space. Although the irritating medication is distributed over a wider area, quick absorption minimizes tissue injury. Hyaluronidase has been shown to reduce the extent of tissue damage following extravasation of parenteral nutrition solutions, radiocontrast media, phenytoin, promethazine, dextrose, mannitol, and the vinca alkaloid chemotherapeutic agents (e.g. vincristine, vinblastine). Hyaluronidase is well tolerated and has been used in neonates as well as adults. Administration techniques differ, but most sources recommend making a ten-fold dilution of a 150 unit vial of hyaluronidase in NS to provide a concentration of 15 units/ml, then dividing the dose into 0.2 ml subcutaneous injections via a 25 gauge needle in 4-5 different sites along the leading edge of erythema. Hyaluronidase is most effective if administered within the first 2 hours after an extravasation, however, it may still be beneficial when given up to 12 hours after the event. (1) Wiegand R, Brown J. Am J Emerg Med 2010;28(2):257.e1-2. (2) Cochran ST, et al. Acad Radiol 2002;9 Suppl 2:S544-6. (3) Kuensting LL. 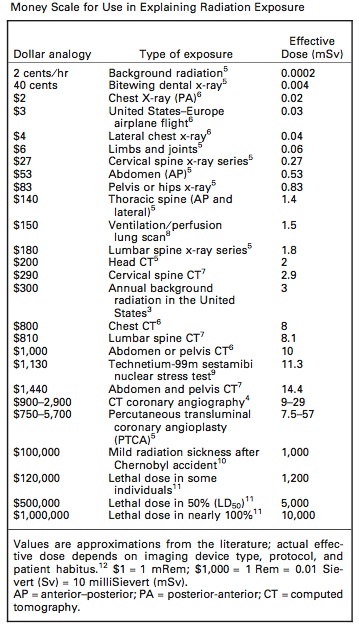 J Pediatr Health Care 2010;24(3):184-8. (4) Sokol DK, et al. J Child Neurol 1998;13(5):246-7. Enough already with this nonsense. Schabelman & Witting. The Relationship of Radiocontrast, Iodine, and Seafood Allergies: A Medical Myth Exposed. The Journal of Emergency Medicine, 2010 39:5 701-707. The evidence suggests that asking if patients are allergic to shellfish or iodine has no relevance to radiocontrast allergies. This questioning perpetuates the myth of an association between shellfish, iodine, and contrast agents. Instead, ask if they have any allergies, have had a previous reaction to a contrast agent, or have evidence of atopy, such as asthma. Educate nurses and technicians to stop propagating this myth as well. If your patient offers an allergy to iodine or shellfish, ask the patient if they mean to say that they have had a reaction to intravenous contrast in the past. 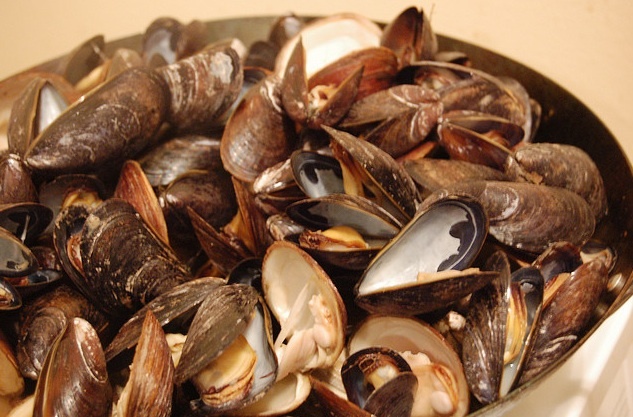 Educate them that they do not have an “allergy” to iodine, and that an allergy to shellfish does not change the risk of reaction to intravenous contrast any more than any other allergy. If your hospital does not routinely use a low osmolarity, non-ionic agent, request this type of medium for atopic patients, patients who had a reaction to an intravenous contrast agent in the past, and patients with systemic disease that increases their risk for contrast reaction. Do not delay emergent studies for steroid premedication. Only lengthy 12h premedication protocols have shown any effect on reaction rates, and this small benefit was manifested primarily by decreasing minor reactions. No steroid protocol has shown a significant benefit in decreasing severe or fatal reactions. Monitor all patients for at least 20 min after administration of radiocontrast. Treat any severe reaction to radiocontrast the same way you would treat a severe anaphylactic reaction. Also, while we’re on the topic of iodine, have you noticed that on the chlorhexidine packages it says don’t use for lumbar puncture? More nonsense.